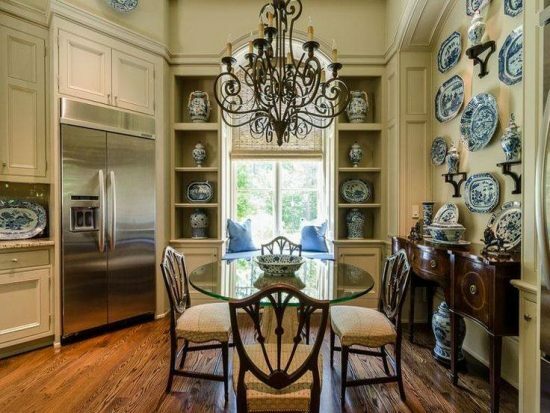 Kitchen walls need focal point love too! 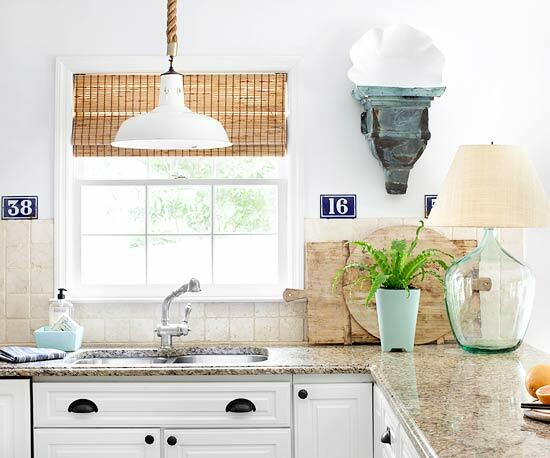 Let’s look at these eye catching kitchen wall display ideas that range from the whimsical to the vintage and every unique expression of “I love it!” in between. 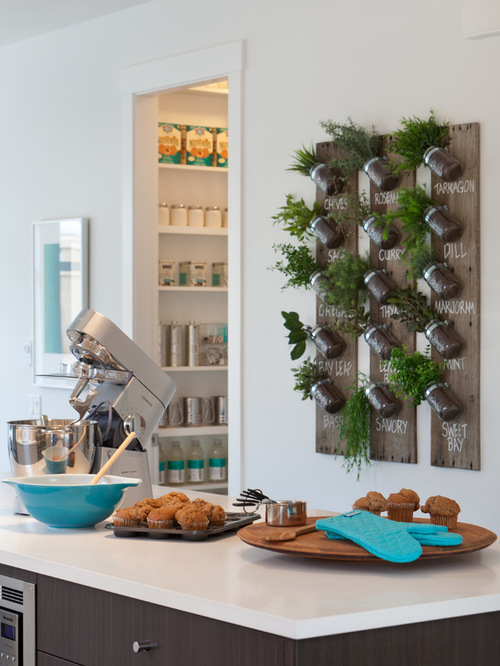 How original and useful is this custom herb garden board display? The talented genius of the DIY inclined never ceases to amaze me. 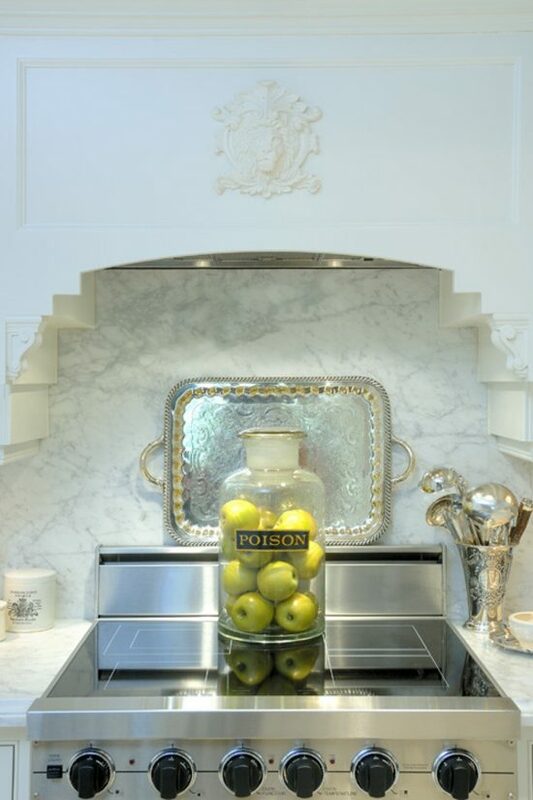 Utilitarian and eye catching- key ingredients in any kitchen design. 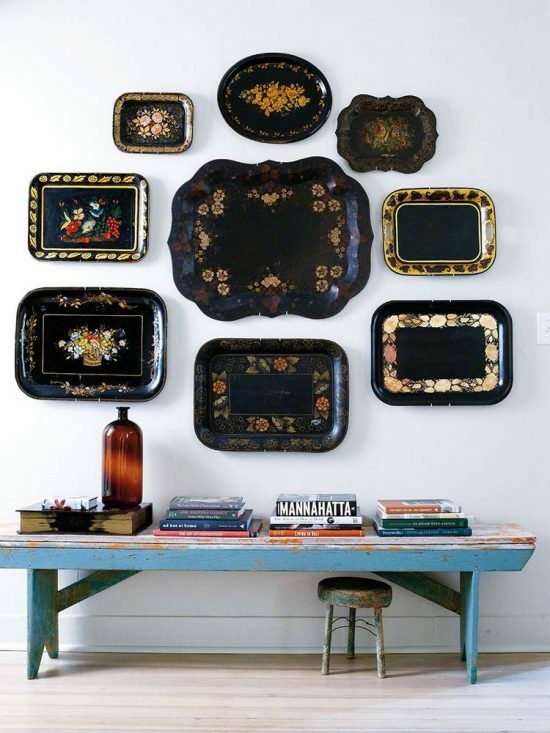 Serve up some style with decorative wall plates for a delicious deal. 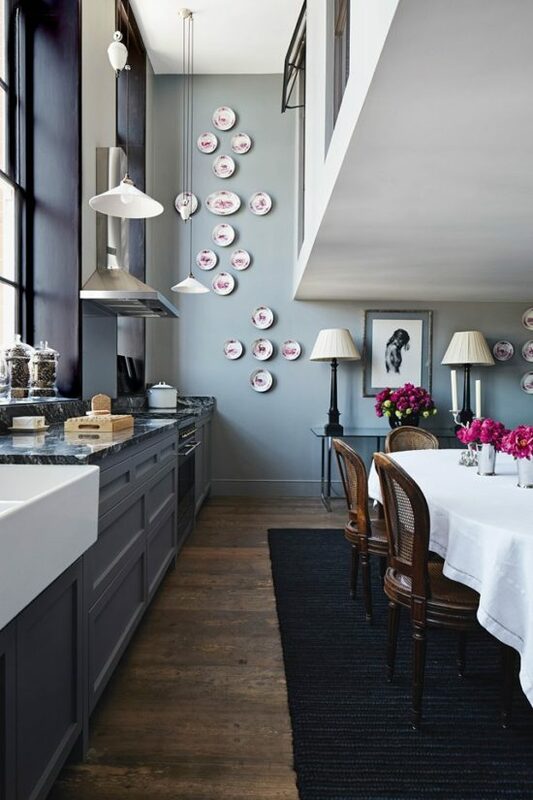 Decorative plates in various patterns, shapes, and colors and have moved from the table to the forefront of artistic kitchen and kitchen area wall display ideas. 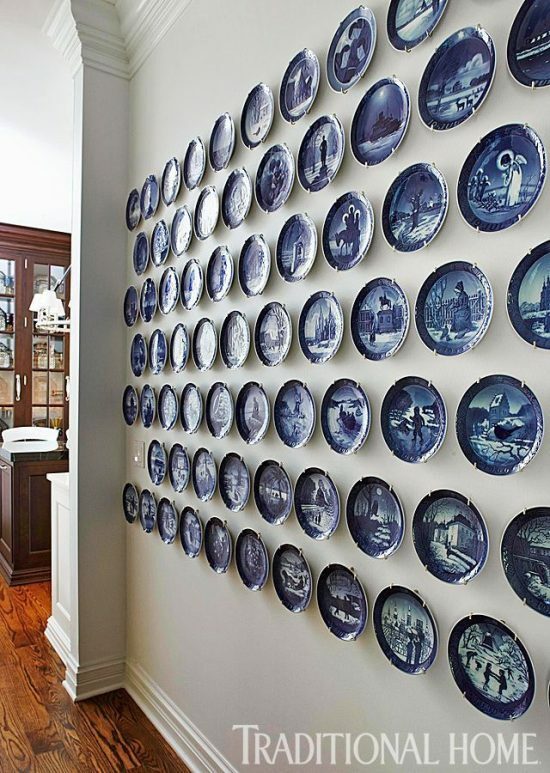 My grandmother and aunts proudly lined every square inch of their kitchen walls with souvenir plates from their travels- quality kitchen decor of the times. 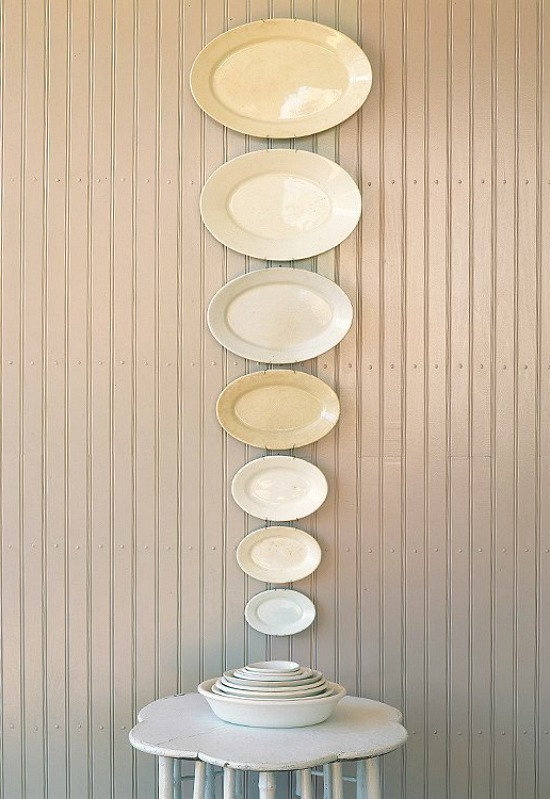 Plate displays have evolved into bone china, porcelain, English transferware and ironstone works of art. Mix and match saucers, salad, bread and butter, and dinner plates in patterns and position. The more the merrier! 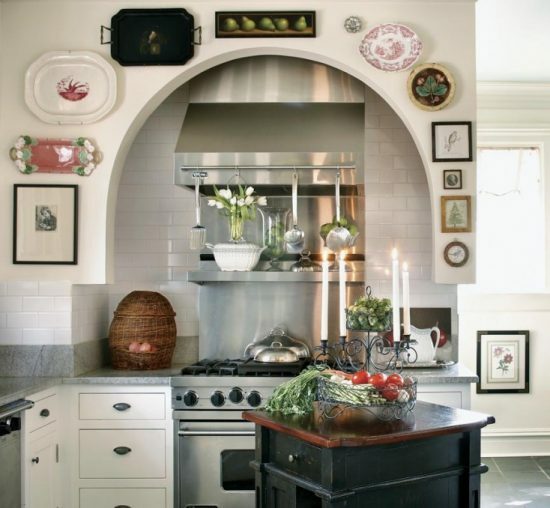 Don’t let a bare wall take a tole on your kitchen wall display ideas. 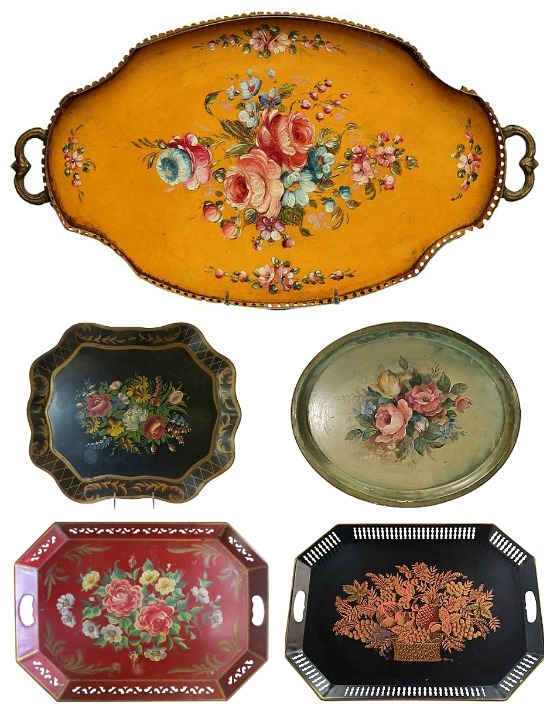 Vintage tole, pewter and silver trays in assorted shapes and colors are highly collectible, and although the design characteristics and sizes can be similar, no two tole trays are exactly the same. 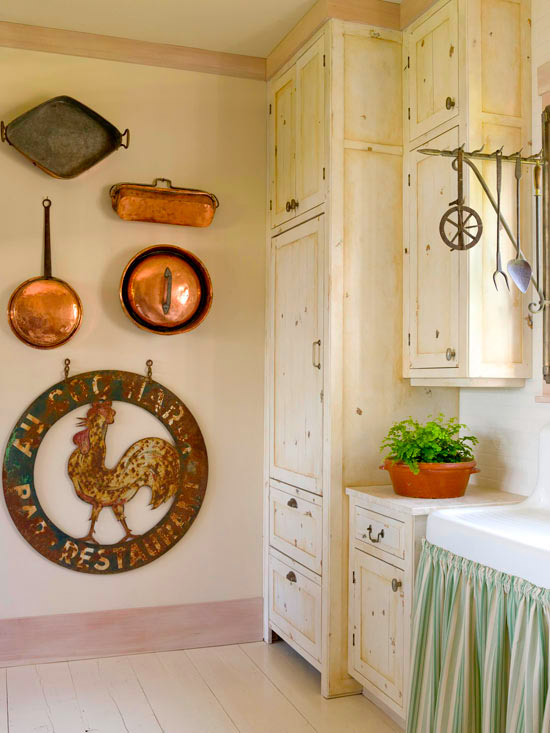 Copper pots and pans as well as vintage bread and cutting boards never fail to impress or bring the Ooh la la look to any kitchen decor. 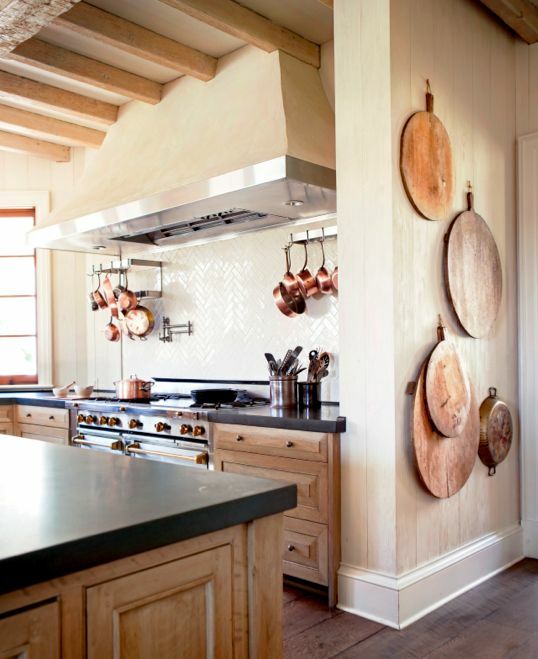 Dress them up, dress them down- copper is a decorative chameleon, and there is something so basically beautiful and uniquely utilitarian about bread and cutting boards. Beauty comes in all sizes and shapes. 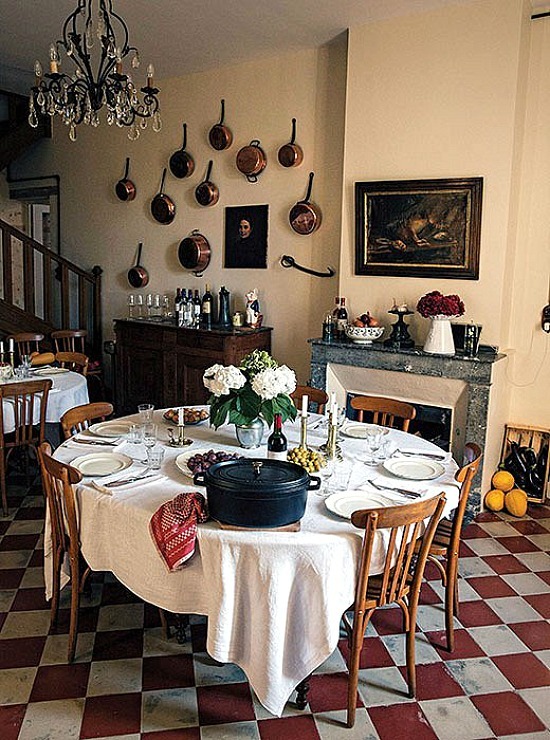 If these vintage boards could talk the recipes they could divulge! Where to begin my gush over copper? 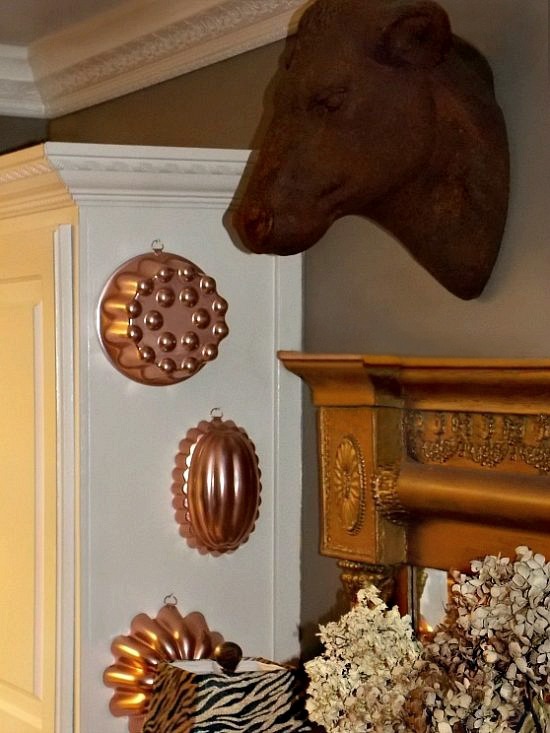 The beauty of copper is that it is timeless, reliable, durable and with its aged to perfection patina. That’s the charm that is copper. 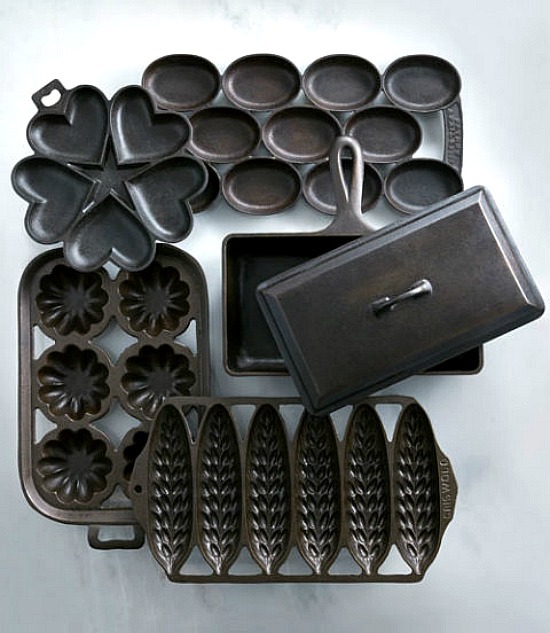 I am in vintage mold, tin and pan heaven! Where some may see old, beat up relics of baking times past others, like me, look past the wear to the beauty of the past. 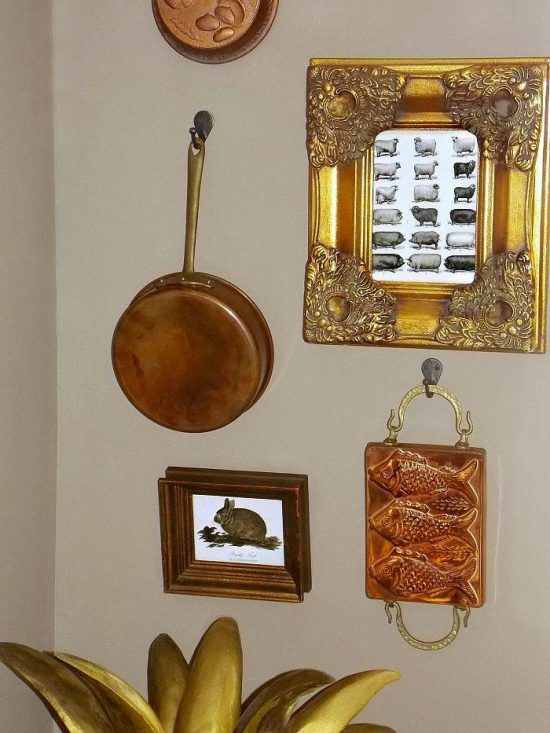 This spice rack idea is a fine example of an “eye”dea of DIY genius from Nita at Mod Vintage Life! 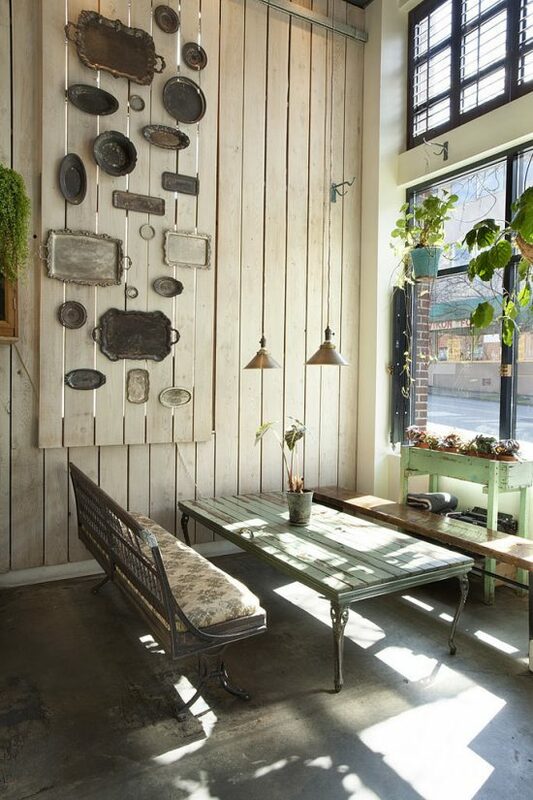 As silver serving pieces housing casserole dishes in another home decor life, these repurposed spice racks create a display that nails unique to the kitchen wall. 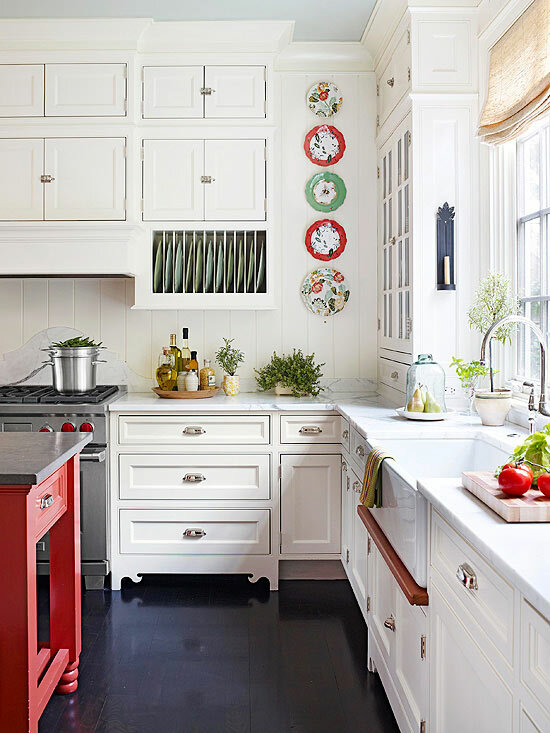 Vintage enamelware salt boxes, match safes, and house number signs, architectural corbels, and wood cheese boards make ideal and practical kitchen wall display options. 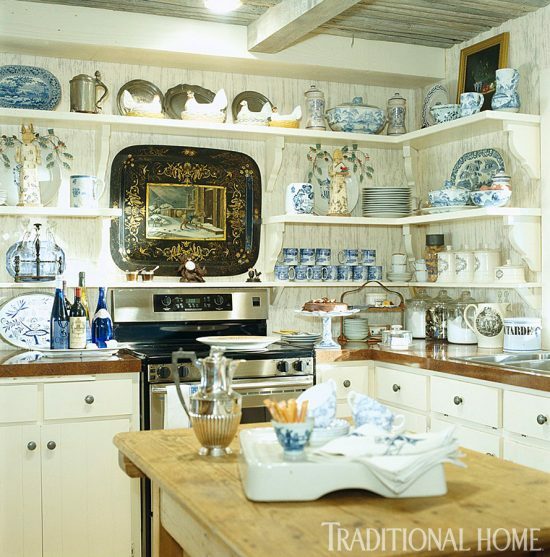 Antique, vintage and decorative collections come in as excellent kitchen wall displays ideas. These pics are so cool, I collect blk tin so that is my Fav! Thrilled you like the images. I went back and scrolled through the post, and you’re right, Kathy- the pics are rather cool. Thanks for your comment, and I glad the images spoke to you.